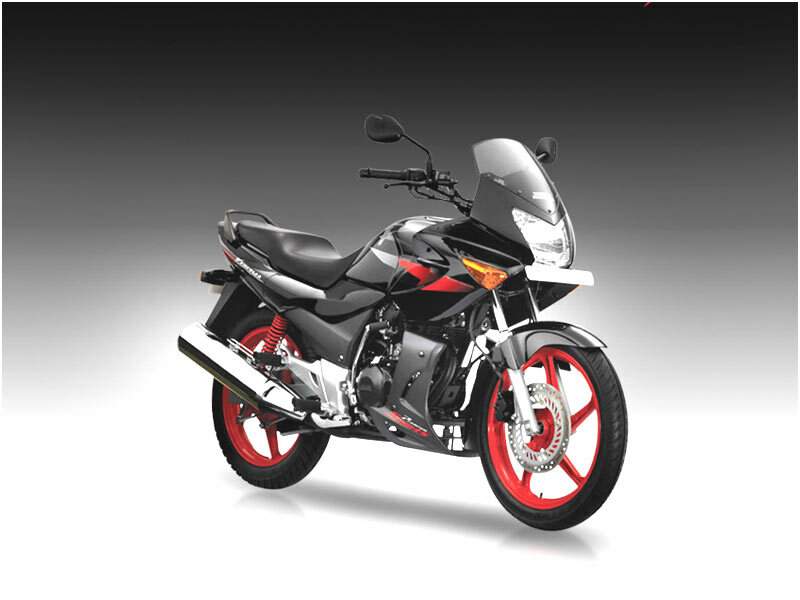 Hero Honda Karizma R gets the international styling inspired by Honda VFR800 with amazing performance and handling. Read the review to get the features, technical specifications & price. Karizma gets even better with the all new racer, R edition - The New Karizma-R with a 223-cc engine. The air pockets in front of the tank have been precisely carved to blend aerodynamics with aesthetic appeal. The new Karizma, in its new avatar, comes with swashbuckling new looks and international styling. The new bike certainly accelerates the adrenaline rush of the young bike boys resulting in great demand. The engine provides a healthy torque of 18.35 Nm at 6000 rpm. The progressive feel, multi-plate wet-type clutch and the smooth 5-speed gearbox are the same as in the previous version. The bike is powered by a 17-bhp 223-cc single cylinder engine. The shift lever is a sporty one and has a 1-down 4-up sports-bike shift pattern. A large portion of the Karizma's styling is inspired from Honda VFR800. The instrument panel and the tank recesses are designed keeping their functionality in mind. Now the Karizma R has an international-style graphics with the `R' lettering on the tank and an asymmetrical one on the visor to keep with the latest international trend. It sports new sporty under-cowl, which makes the bike look more powerful. The matt-axis grey coat for the engine makes gives it a very rugged look. The red-coloured springs in rear suspensions and stylish fender with new graphics are a treat to the eyes of the bike lovers. The bike has a set of racy-red mag wheels and a dual tone finish for exhaust pipe, making it one of the most attractive bikes on Indian roads. 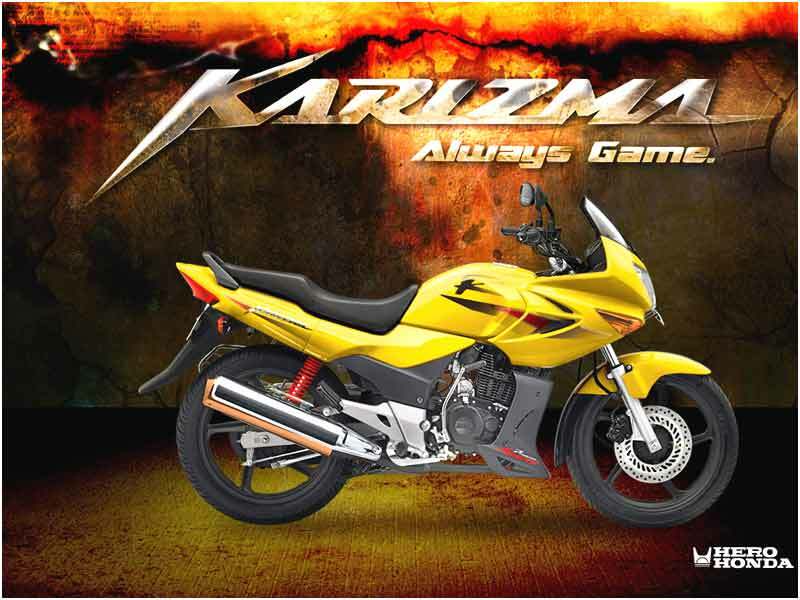 Karizma R rides smoothly both on the city roads and on the highway. The bike maintains its stability upto 110 kmph. It gets a little shaky at higher speeds. The dashboard features two dials, an RPM meter and a speedometer. The bike has a digital panel, which displays Fuel, a Trip meter, total distance and a digital clock. The high beam and neutral indicators are situated in the speedometer dial. The indicators are bright such that its status can be seen easily against the bright sunlight. 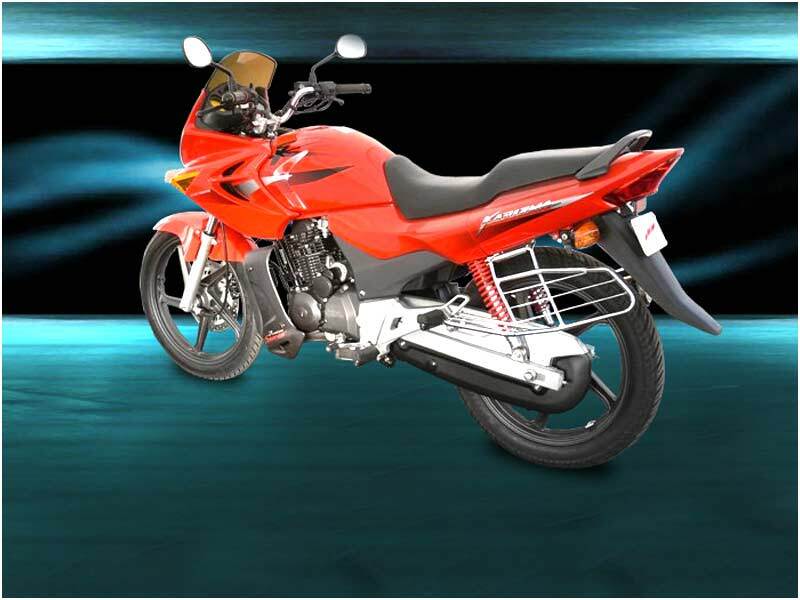 Karizma is considered one of the safest bikes with adequate wheel base. The bike comes to a halt easily from high speeds without losing any stability. Reflecting some excellent features with a powerful engine, Hero Honda Karizma R fetches an average mileage of 38-41 kmpl. Karizma-R comes in different colour variants: Sports Red, Black with Black Alloys, Vibrant Blue, Force Silver, Moon Yellow and Black with Red Alloys. Copyright © iBikes All Rights Reserved.